The latest hit piece against SarahPAC originates from Sandra Fish, a contributor to AOL Politics Daily. In this specimen, she rails against SarahPAC’s spending on consulting, travel, and photography fees, and uses the PAC’s routine disclosure filings in a lame attempt to build a case that it is not fulfilling its mission. In her lead, Fish points to 20 targeted districts and complains that SarahPAC did not support or endorse “favored candidates in those districts” (Fish, 2010, para. 1). The real world is not as simple as Fish makes it appear. Governor Palin identified 20 incumbents she wants to see voted out of office. That does not confer an obligation upon her to immediately identify the names of those she would endorse and financially support to run against them. In many districts, there may be contested primaries. Also, Gov. Palin and SarahPAC are not in the business of squandering endorsements. Even one losing endorsement can seriously deplete her political capital. Her endorsements have to be winners. Mere agreement with political values is necessary but insufficient to generate a winner. The candidate must have a clean shot of winning, i.e. run an effective campaign. Further, the serious money is needed later on in the election cycle. SarahPAC has to leverage its endorsement money wisely. In my prior entry on SarahPAC’s expenses, I already addressed how I am satisfied that the expenses incurred, are reasonable and customary. I expressed my satisfaction with SarahPAC’s handling of its expenses both as a mid-range donor and as editor and publisher of a site that routinely asks people to donate to the PAC. Mitt Romney’s Free and Strong America PAC disbursed $52.4K to candidates. It has substantial consulting and administrative expenses, totalling over 20 times what was disbursed to candidates — $1.226 million. HuckPAC disbursed $13,500 to candidates and it too disbursed more than 20 times that number in its administrative expenses – $270K. SarahPAC disbursed $9.5K to candidates and had $393K in other expenses. Romney’s PAC raised $1.5 million; HuckPAC, $273K, and SarahPAC $400.5K. There is nothing non-standard or untoward about SarahPAC’s disbursements. Those whose opinions matter on the subject of donations to SarahPAC – the donors – have not lodged any complaints about how SarahPAC conducts business. Did Fish bother to read the disclosure reports for Romney’s and Huckabee’s PAC’s? Or is only SarahPAC the subject of Fish’s fishing expedition? The reality: Gov. Palin wanted to know that what her hand signed is legitimate and actually going to benefit her constituents. AGAIN AND AGAIN, Palin hasn’t failed upward, but quit upward: quitting her way through four colleges, quitting the oil commission, quitting as governor after barely more than two years in office. It’s an odd record, and it stands in contrast to her own history of gritty refusal to give in to physical (as opposed to political) challenges (Hillyer, 2010, p. 2). President Ronald Reagan did precisely the same thing. In fact, everything Gov. Palin does is straight out of the Reagan playbook. We can even look all the way to the left for a benchmark. The man who holds the office of President quit his “job” as a garden variety rabble rouser – read that “community organizer” – got elected as an Ill State Senator, accomplished nothing, got elected as a US Senator, still accomplished nothing, spent his entire time in the Senate campaiging for the job he now holds. His accomplishments since? Setting our nation on the course to socialism, alienating allies, emboldening enemies, increasing national debt, taxes, size and scope of government – all while working on his golf handicap. In fact, we should encourage Obama to spend less time in the White House and much more time on the green teeing off. The more his hands are off the nation’s governance and the more firmly they are wrapped around a golf club, the better off our nation will be. Yes, Gov. Palin “quit up.” So what? Absent promotion (which does not exist in politics), we are supposed to “quit” lesser jobs to advance to higher ones, else we stagnate. When Gov. Palin “quit,” she left a legacy of accomplishments. In her final seven months as Governor, she accomplished more for Alaska than seven governors in 50 years have accomplished for the State of New York. Hillyer spills many screen pixels building the case that Gov. Palin’s “inexperience” led her to champion ethics reform that was later used to drive her out of office, with the conclusion that she “is not qualified to be president” (Hillyer, 2010, p. 2). The frivolous ethics complaints did not start flooding in until after August 29, 2008. The ethics laws Gov. Palin championed were on the books for over a year without issue. The entire article is written in the tone of a stern father telling his disobedient daughter to sit down and shut up and grow up. According to him, she should not even consider running till 2024. She’s “too young.” Really? But, Obama who’s only two years older and has no executive experience is not too young? But Gov. Palin who has 18 years of executive experience in positions of increasing responsibility is “too young.” She has to wait. Why? Because she’s a woman? What Hillyer began with, I conclude with: “There’s something distinctive, something deeply personal, about the way her legions of strong supporters rush not just to defend her but to counter-attack any and all of her critics. Palin has a way of establishing a sense of connectedness with her backers.” (Hillyer, 2010, p. 1). I am simultaneously proud and humbled to be among Gov. Palin’s “legions of strong supporters.” We work together; we set aside differences and internecine rivalries to achieve a common goal. We are her wing men and women. We will not be bought off with free trips to leadership conferences to cheat in straw polls. We have something called loyalty. Our bonds with Gov. Palin are tight and strong, for she is not merely Gov. Palin. She is Sarah. Our Sarah. No Mr. Hillyer, just like Gov. 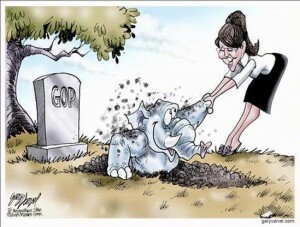 Palin – Sarah – we will not sit down and shut up. When she comes under attack, we’re locked and loaded – ready for the counter-attack, whether it originates from leftists or so-called conservatives. And when we’re done, we never retreat. We always reload – in her honor. And, yes Mr. Hillyer, we await the day Gov. Palin answers her summons to serve. In the relatively short time she has been on the world stage, Sarah Palin finds herself an icon to smart, strong, independent women everywhere. Sarah routinely speaks to groups ranging from a few thousand in an intimate setting to tens of thousands in parks, arenas, and open fields. Women make up a large and active portion of these groups. .Sarah Palin has brought to our table a new kind of conservative woman, the conservative activist. All over the United States, women from all walks of life who had been cowed in the work place by liberal feminist rhetoric. These women watched and listened. Now, the skills they learned about organizing, fund raising and campaign management are being used by these women to return their communities, their schools, their precincts and districts, to sanity. Obama and the group he worked for, ACORN, trade in class warfare, envy, and Marxist ideology. Their entire shtick consists of telling people they have been “wronged” and the world owes them for it. And of course, only Big Government can help them. As columnist Jim Kelly points out in his latest piece, Sarah Palin has inspired and energized an entire nation of motivated women who seek to restore America to greatness, and move away from the Marxist agenda of Obama’s failing presidency and that of his cohorts in Congress. Women nationwide are taking the lead role at every level: Organizing rallies, educating their friends and neighbors, creating support groups and more. Of course, in doing this, these patriotic women are motivating us guys to get off the couch and into the game as well! Sarah Palin has brought to our table a new kind of conservative woman, the conservative activist. All over the United States, women from all walks of life who had been cowed in the work place by liberal feminist rhetoric. These women watched and listened. Now, the skills they learned about organizing, fund raising and campaign management are being used by these women to return their communities, their schools, their precincts and districts, to sanity. I have had the privilege of being invited into the company of women such as these. Jennifer Leslie, Southern Arizona District Coordinator for Smart Girl Politics, www.smartgirlpolitics.ning.com, is actively recruiting women to be educated and run as conservative candidates. As I write this, her group is voluntarily cleaning up trash at the US –Mexican border to honor the memory of Robert Krentz, an Arizona rancher recently killed by a probable illegal entrant drug smuggler. Her group gives local women who want to run for office a soap-box upon which to test their campaigning skills. It also plugs the candidate into other conservative groups that offer time, talent and shoe leather when they need volunteers to canvass precincts for their runs for office. Women precinct committee persons form the bulk of her membership at the moment, but Ms. Leslie expects that women from all political parties will find their way to her group. Yes they do have men candidates come to speak to her group but the focus is women. Ruth McCLung, candidate for Congressional District 7, Terri Proud, candidate for LD 26, Brenda Burns, candidate for Arizona Corporate Commission, are all candidates that rely on the networking skills of the new conservative woman. I recently went to another home gathering of conservative women called “Winning with Women” founded by Leslie VanBorsumm, a long time supporter of all things Republican in Pima County and the rest of Arizona and California. Packed with candidates from Phoenix to Tucson there were only four men in attendance, one was the husband of a candidate the other two husbands of precinct committee persons and myself. Leslie remembers campaigning for Barry Goldwater. She is one of the more seasoned veterans of the Pima GOP but one who has embraced change in the party, the tools that we use, and stays active and on top of the issues. She uses Facebook to network with her women and it works. She took a more traditional approach working within the party. She actively sought the support of the state and national party leadership before she launched. Her goals are much like Smart Girl Politics, issue education, reversing media stereotypes but more importantly, something SGP does not do is endorse candidates, combined and coordinated efforts on a regional level to get conservative women elected. Two different groups, two different philosophies, both recognizing one thing, the liberal agenda has been slowly eating away at the sovereignty of the family in America. It is women that lead families, in every culture in the world. They have always been the field marshals of the home. It will be women that take back their leadership and push back socialism. It will be women talking to women that re-educate the lost generations. 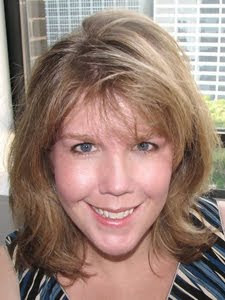 Teri Christoph is co-founder and vice president of Smart Girl Politics. She is host of Smart Girl Nation, an Internet radio show heard on RFCRadio.com every Tuesday at 9PM ET, and blogs at its sister site, Smart Girl Nation. Women have always been the real backbone of society. Let’s face it, us guys will put up with a lot more than the ladies will! It’s always been the women who have really been our conscience, who have reminded us of our values and why we must never lose them. Sarah Palin has taken on the role of the nation’s “organizer” and inspirational leader. Let me be very blunt: One of the biggest complaints against the GOP, and male conservatives in general, with a few notable exceptions, is they are spineless. Too timid to be effective. Unable and unwilling to wage an all out war for the soul of the nation. Sometimes we wonder if they even grasp just how dire, and dangerous the situation that we find ourselves in truly is. Sarah Palin doesn’t have this problem. The Alaskan pioneering spirit runs deep in her soul. This is a women who is fearless and unapologetic. Sarah knows who she is, and knows what she stands for. There ain’t a lot of nuance in this gal! As a result, not only has Sarah inspired and delighted millions of strong women nationwide who share her values and qualities, she has jolted the listless GOP awake! Since Sarah Palin has emerged as our nation’s true leader, we have seen our fellow men find the courage they were lacking to take Obama, and his radical agenda, head on. Unfortunately, we men, especially those in the GOP, are still a bit behind the power curve on all of this. We are still trailing a bit, but with a strong inspirational leader like Sarah Palin, and all of the smart, strong, and determined women, who a lighting a fire under our butts, the future looks brighter then ever. God bless strong women, God bless Sarah Palin, and God bless the U.S.A. Governor Palin addressed the Women of Joy conference April 16, 2010, in Louisville, KY. Her speech, which ran nearly 40 minutes rocked the house. She addressed her faith, family and joy which help keep her grounded. Her speech focused on moms, wives, employers and being good citizens, largely avoiding politics. Gov Palin thanked Prayer Warriors all over the nation, whose prayers she said give her strength. She discussed how she likes to have someone pray with her before significant events. Gov. Palin spoke of the importance of having a partner in life and for her that helpmate is Todd. She spoke of her days as a sports reporter and how reporting morphed from a focus on who, what, when, where, why and how to interjection of political bias. Gov. Palin said that Prayer Warriors help her develop a thicker skin, allowing her to stay focused on the objective. “God has allowed us to be extraordinary by providing us opportunities that can really blow our minds, if we know where to look,” she said. Gov. Palin said that “our men and women in uniform are a force for good in the world.” She spoke frankly about her pregnancy with Trig and how the diagnosis of Down Syndrome first tested her faith. In discussing the ultrasound test results with her husband Todd, Gov. Palin asked, “why us?” He responded, “why not us?” Gov. Palin came to realize that this was something she could handle. Faith, Gov. Palin said guided her through the curveballs that life tends to throw.